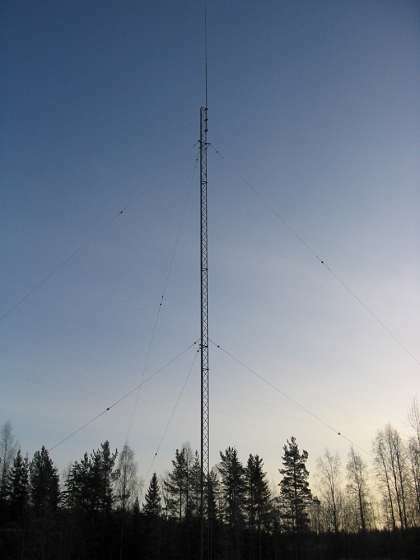 Antenna is quarter wavelenght vertikal, it is about 44 meter high. Ground level wires are at the moment 20 pieces. Mast is recycled. 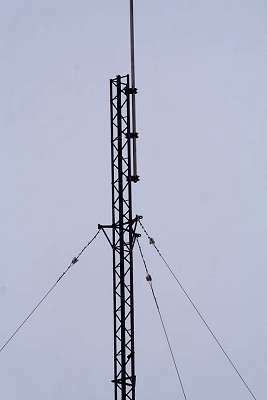 Vaasa distirct Telephone company no longer uses the mast. Thanks to them for the reasonable price. 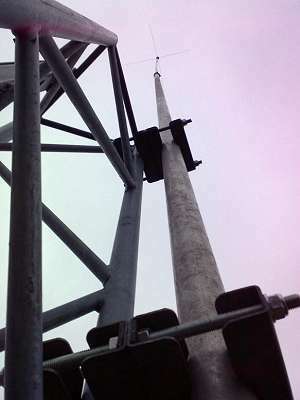 Mast is insulated from ground with insulators such as power companies uses, 20 cm hight. Insulators are eight each. The mast wires are insulated with egg-type. Upper wires are cut in third and lower in two part remind with RF. Pictures at top of the mast. Before erecting the mast we simulated constructions with several computer programme. Example Ansoft HFSS -programme, witch our technician uses his work.